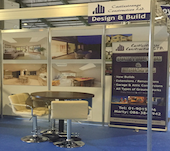 The countdown is on until we are showcasing our services at the Bi-Annual Ideal Homes Show, Irelands largest home show. We look forward to meeting old clients and new at the show so visit us at Stand P51 We look forward to seeing you then. © Copyright 2017 by Castlestrange Construction. All rights reserved.